The cleanliness of your carpet or other flooring makes an impact on the health and overall appearance of your property. We also understand that your carpeting is a significant investment. That’s why Clean Sweep is delighted to offer high-quality carpet cleaning services with your satisfaction guaranteed. Our solutions are designed to help you maintain a quality first impression and protect your health and investment over the long haul. We know that cleaning can be a burdensome task. This is especially true when carpet, furniture, and other types of upholstery are involved. Clean Sweep is here to help you check the job off your to-do list. Whether you only need a few rooms in your home cleaned or are seeking services for an entire office complex, Clean Sweep is up to the job. Our detail-oriented, highly skilled technicians stand ready to fully eliminate contaminants, stains and odors from your carpeting in a timely and effective manner. For more than thirty years Clean Sweep has been helping people in Bakersfield and the surrounding area with our carpet and upholstery cleaning services. A wide array of cleaning methods and innovative techniques are used to make sure you are thoroughly satisfied. 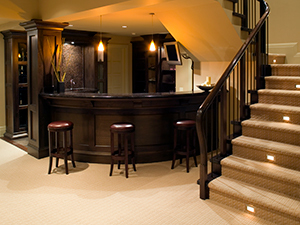 First you and I will evaluate your carpet’s needs because every carpet must be treated differently. We’ll decide what will be the best approach to fix your concern. Best of all you’ll know up front what we can and can’t do! Then you’ll decide (without pressure) if we should proceed. This way there are no surprises! As a valuable client, we respect you, your time and your property and we are committed to clear, efficient communication in order to fully satisfy or exceed your expectations. For your convenience, we offer flexible scheduling, free phone estimates, and a quick response to your call. We also offer emergency response services. Clean Sweep guarantees customer satisfaction and visible results. We will take the time to do the job right the first time and make sure it exceeds your standards. We place our reputation on the line with every single cleaning job that we do and are confident in our cleaning abilities and performance. We understand that every job is a reflection on our company and that nothing is more important than a satisfied customer. Visit our Basic, Gold and Platinum carpet cleaning package pages for more information and to book your appointment with the area’s premier carpet cleaning company. As a general rule, your carpets should be professionally cleaned about every six months to a year. For extremely heavy traffic areas, cleaning may be required more often. Proper professional cleaning will not leave a sticky residue behind and can be done as many times per year as needed without damaging or reducing the lifespan of your carpet. Clean Sweep’s professional technicians are thoroughly educated and trained in safely and effectively removing dust, dirt, allergens, and other pollutants from your carpet. Our cleaning process extracts debris and grime trapped deep within carpet fibers, leaving the texture and appearance beautiful and sanitary. When it comes to maintaining your carpet, one of the most critical areas of focus is high traffic areas. If ground in soil is not removed on a regular basis, these traffic areas will begin to wear excessively. Weekly to daily vacuuming (depending on traffic volume) is a must. For the best results vacuum slowly and evenly. Entry mats which are regularly taken out and shaken can also retard wear by helping to reduce the amount of grit and grime tracked through the rest of the property. The second area of focus, of course, is spot removal. You must react to ‘danger’ spots immediately. Red wine, red beverages, urine, blood, etc. can cause a permanent stain if not treated immediately. Unless you are familiar with the chemistry involved and understand which detergents work best with the particular spill or spot you are dealing with, use only water to do this spot cleaning. Some detergents which are great on one particular type of spot could actually permanently set another. If spot treating doesn’t work, please reach out to us so we can either advise you further or take care of the spot for you. Be sure to visit our Carpet and Textiles Care page for helpful tips for cleaning spills, regular maintenance guidelines, and a free, downloadable Carpet and Interior Textiles Care Guide.